OMG, Putin hacked into the power grid! One of my goals in launching this blog is to encourage people to think more critically about the news. 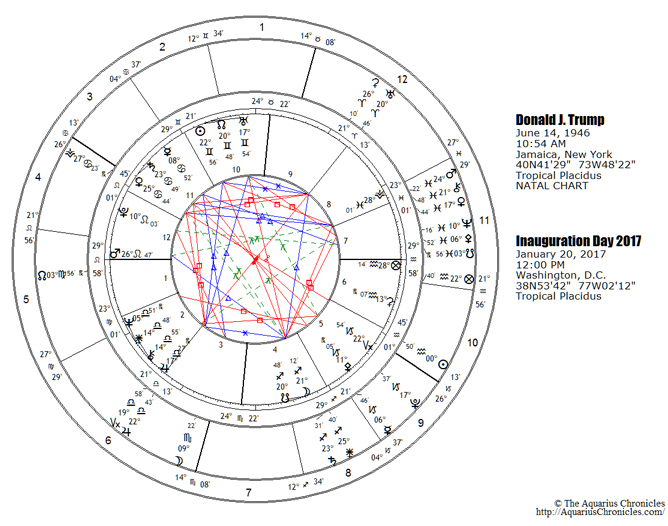 Let’s turn to Trump’s transit charts for his first day in office and his 100th day – technically, the 97th, which I’ve chosen instead, because it’s the day of the New Moon in Taurus (and the 100th day falls on a Saturday). 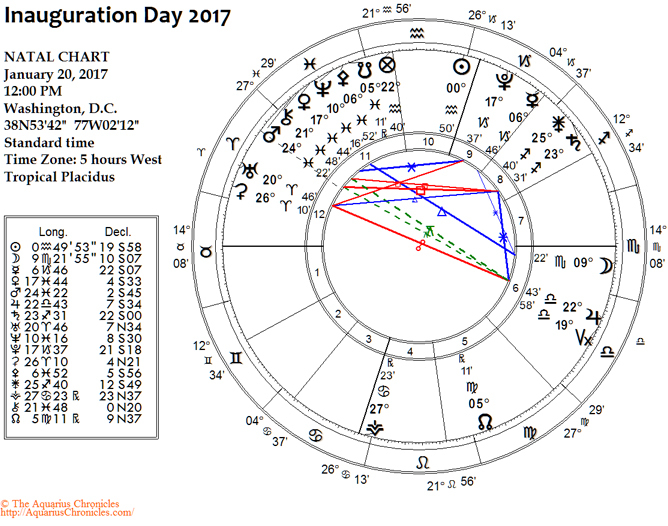 On the brighter side, he will be in the midst of a Jupiter return on Inauguration Day. This is another transit that usually happens in three phases. The first pass will be on December 4, 2016. 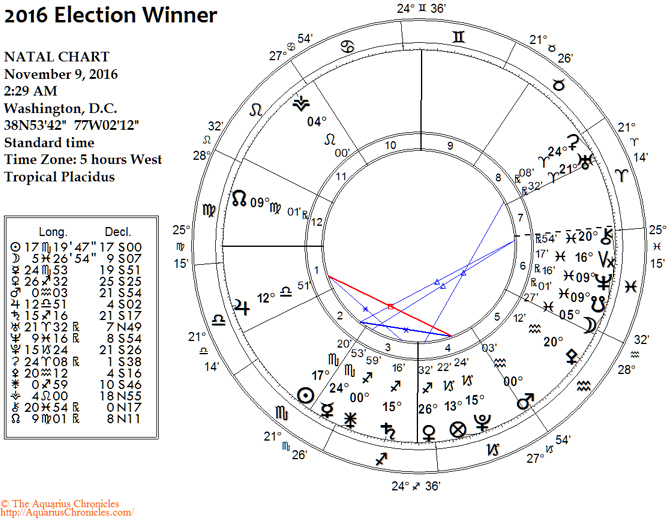 By the Inauguration, Jupiter will be slowing to its station retrograde on February 6, in a tight square with Trump’s natal Saturn. This could help him meet challenges, particularly in choosing advisers. It won’t be surprising if he goes through several major personnel changes (as he did in his campaign) before assembling a team he’s comfortable with and that’s comfortable with him. With transiting Uranus opposing natal Jupiter and squaring natal Saturn, there could be some serious shakeups, and it won’t take long for embarrassing internal conflicts to be leaked to the media. There also will be adjustments to his everyday life that he could find confining and irritating. Sagittarius Moon needs freedom, but President Trump will not be free to go anywhere he wishes, whenever he wishes, and his personal life is going to be in a fishbowl. 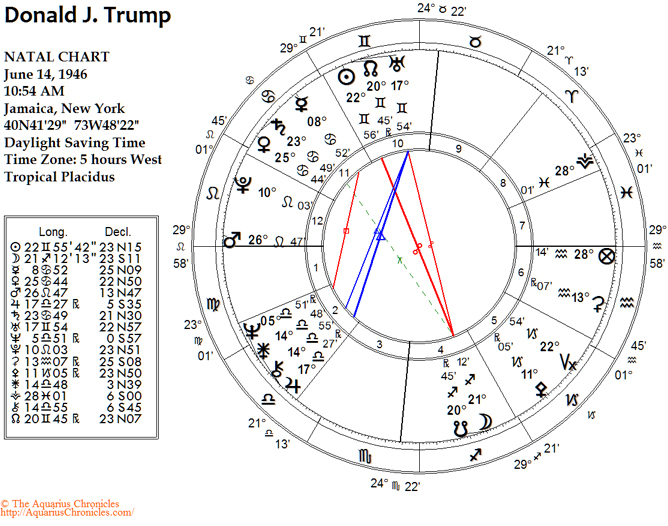 As of the New Moon on April 26, Trump will be just past the second pass of his Jupiter return; the third and final pass will occur in the wee hours of August 4. 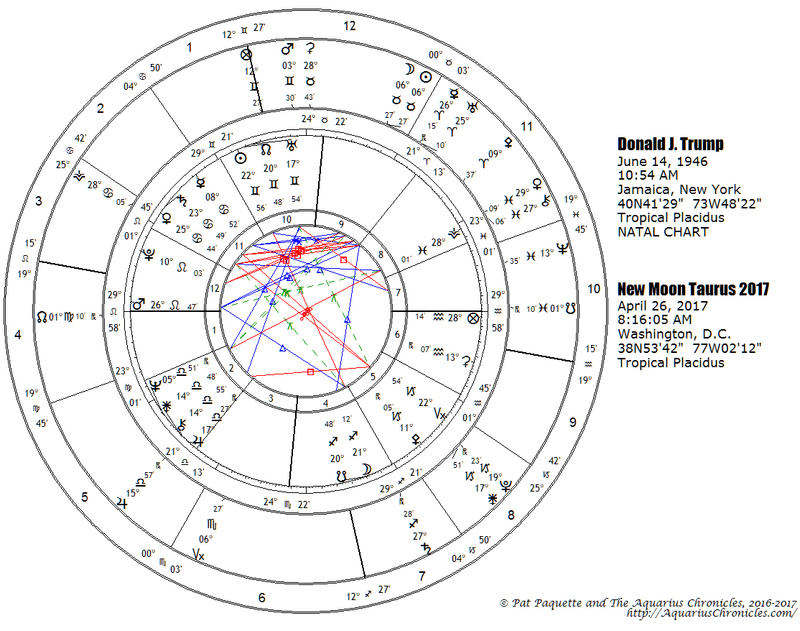 During the turbulent eclipse period, Jupiter will be in an applying trine with Trump’s Sun – which also means it will be in a close sextile with transiting Saturn on Trump’s Moon. As infuriating as it may be for those who detest the man, this fortunate transit suggests that he’s likely to remain relatively unscathed this summer when new scandals emerge.